TOKiMONSTA performs on the Parlor stage at the Panorama Music Festival on July 23, 2016 in Randalls Island, N.Y. The EDM artist will perform at Dillo Day, Mayfest announced Thursday. 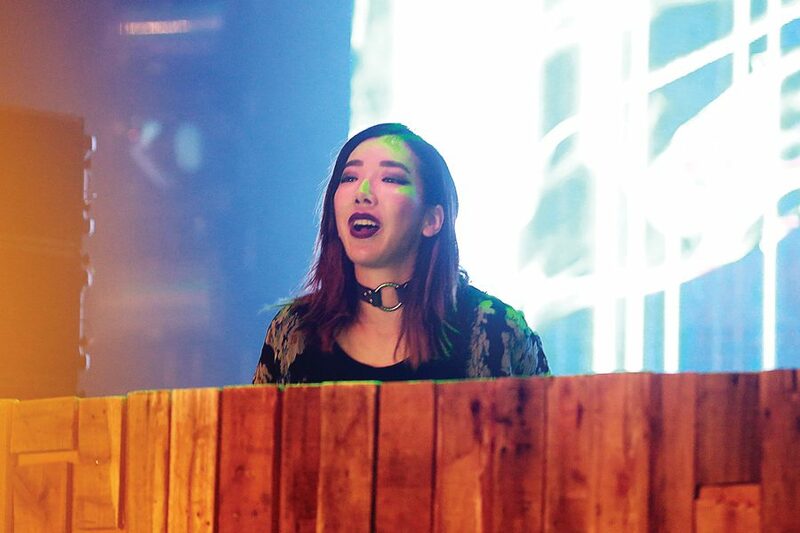 EDM artist TOKiMONSTA will perform at Dillo Day, Mayfest announced Thursday. The California native’s third album, Lune Rouge, was released in 2017 and garnered critical acclaim. She has also collaborated with a number of other artists, including Jessie Ware, Anderson .Paak and Kelly Rowland. TOKiMONSTA, whose real name is Jennifer Lee, released Lune Rouge after she was diagnosed with Moyamoya, a rare neurovascular condition, in 2015. She released the album after undergoing two brain surgeries. In the release, Mayfest director of concerts Grant Pender said TOKiMONSTA has consistently released interesting albums and said she would bring energy to the Lakefill. The EDM artist is the second act announced for Dillo Day. Last week, Mayfest announced that R&B artist Daniel Caesar will also perform. Mayfest co-director of promotions Sarah Wong said the group is excited to host TOKiMONSTA at Dillo Day. Dillo Day is set for June 2. Correction: Due to incorrect information from a Mayfest news release, a previous version of this story misstated Grant Pender’s position. Pender is the director of concerts. The Daily regrets the error.